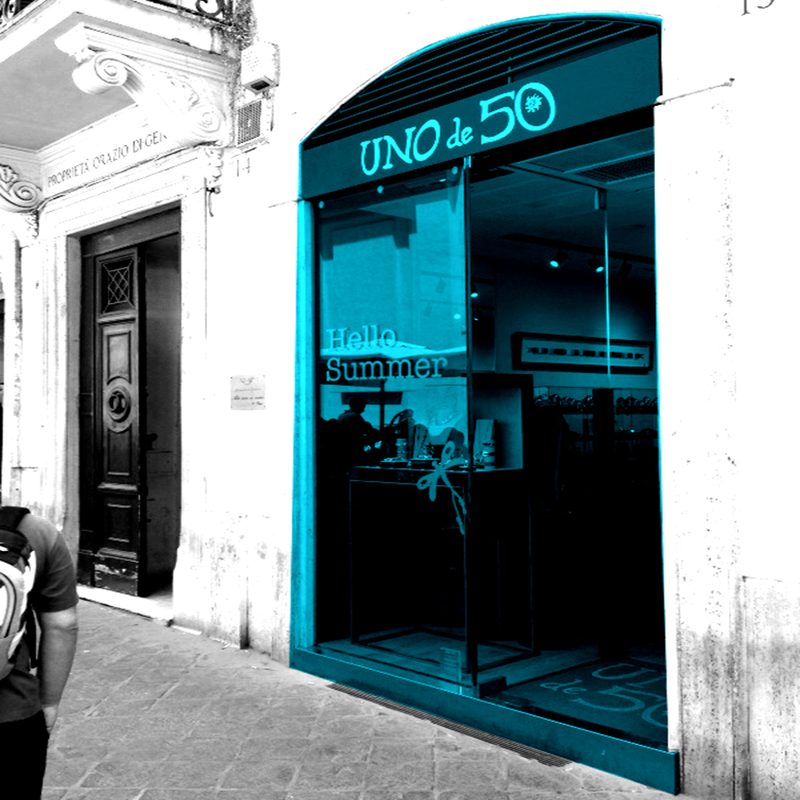 The ironic and young Spanish brand of accessories, UNO DE 50, born in 1997 with a limited edition style of 50 creations, has opened its store in Rome, selecting Via Frattina, famous street of Roman shopping. The store has more than 40 sqm to show all its original and colorful collections. The Eda. Res Srl has selected the best location for them thanks to their experience and consulting.